It is with deep sorrow that I am sharing this profoundly sad news with you. 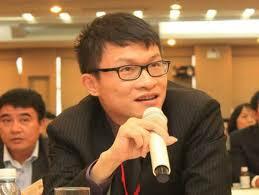 Our dear friend and long-time Vice President at IDG Ventures Vietnam, Nguyen Hong Truong, passed away yesterday morning. Vietnam’s business community and startup ecosystem lost one of its most important and tireless champions. From Founders to CEO’s, many leaders throughout the country have lost their most cherished friend and respected mentor. For our entire IDG Ventures family, we have lost a most beloved brother. Words cannot express what he means to us, and we will forever miss him. Truong was a founding member of our team when we opened our doors for business in 2004, and Vietnam’s internet age was still in its infancy. He there before anyone knew what Venture Capital was, and being a startup Founder was not something fashionable. He was there fighting in the trenches when young companies were taking on large incumbents and global tech giant, guiding startups through a constantly-changing battlefield. He was there as a lawyer when regulatory bodies needed an informed voice to champion the role that startups and innovative businesses played in our country’s growing economy and development. In the coming days, as we reflect upon Truong’s distinguished career, we will come to understand that his impact the technology and startup community was important and immense. Truong was more than just the sum of his accomplishments, he was a man of character who was always there for the people around him and to support them in any way that he could. We have lost a friend, a colleague, a mentor – a brother, a son, a father, and a husband. And so let us honor Truong by being there for each other, and by making meaningful contributions to our communities, like he did to the thousands of people who are part of the startup and entrepreneurship community in our country. Truong, we were all blessed to have you in our lives. Hail and farewell!